The children brought an offering tied in ti leaves (the green bundles) for the fire goddess, Pele. And how long will it be before a parent brings a lawsuit against the DOE for promoting paganism? 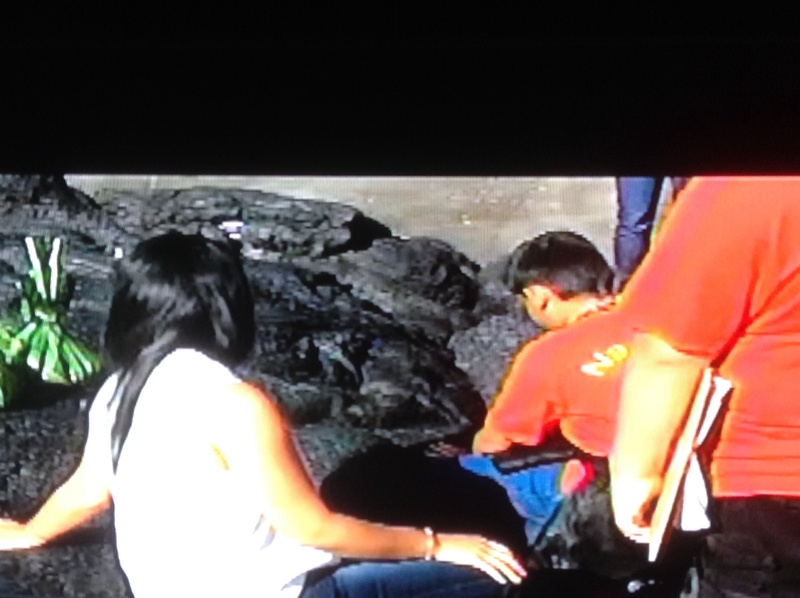 The lava is still moving, still threatening more homes…. 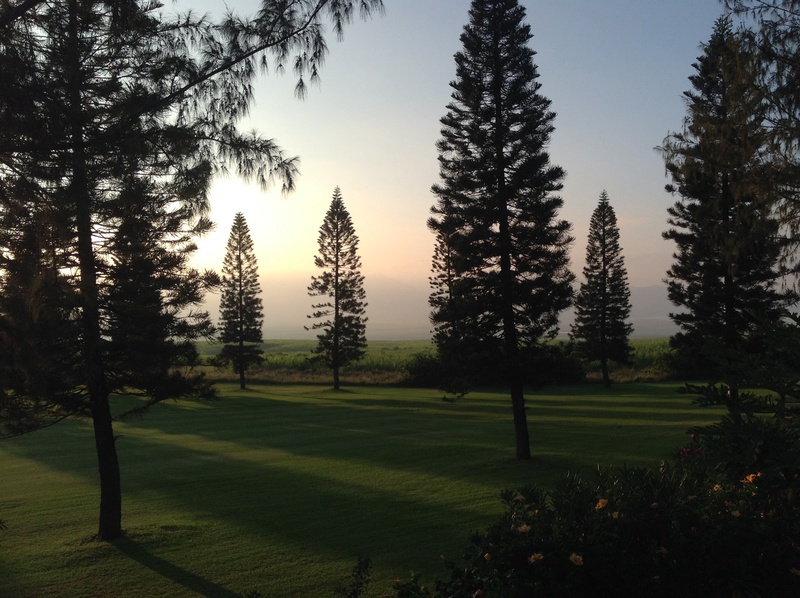 You should be able to see the West Maui mountains in the background, but they are a faint outline at best. And life here in paradise goes on…. A hui hou! if you’d like to stay in the loop, please click the “Follow” button on the Homepage, or to the right. Mahalo for reading along! 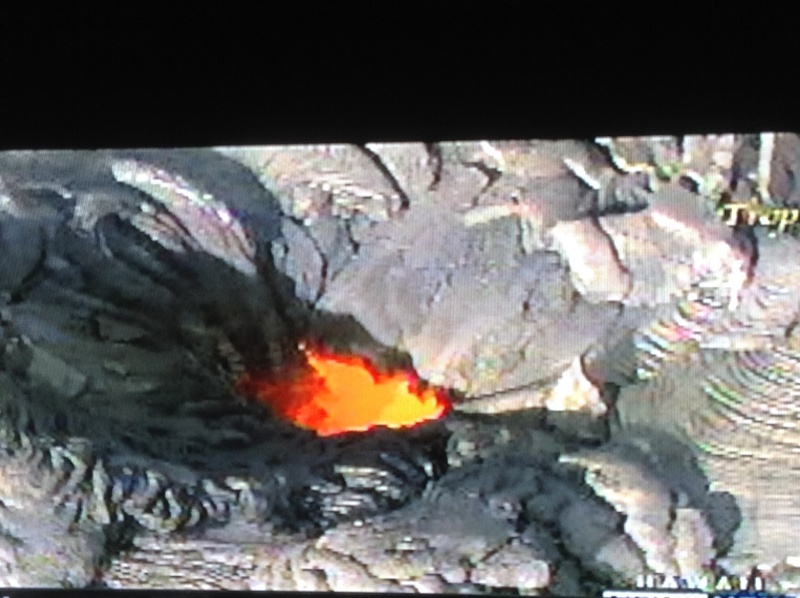 This entry was posted in Life in Hawaii and tagged Big Island, lava flow, students visit lava fields by jamaicawtr. Bookmark the permalink. I agree. Thanks for posting!